We all know the feeling. You have a simple copy job that just needs to get done. 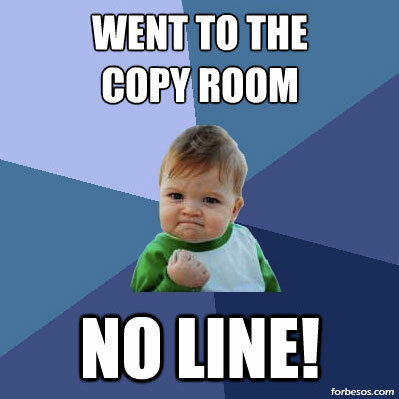 You venture down to the copy room to run your simple copy job and there it is… The copy room line. Oh, I’ll come back later, you say. Only to find that someone else is in “line” for the copier, but not today! Today you win! No Line!